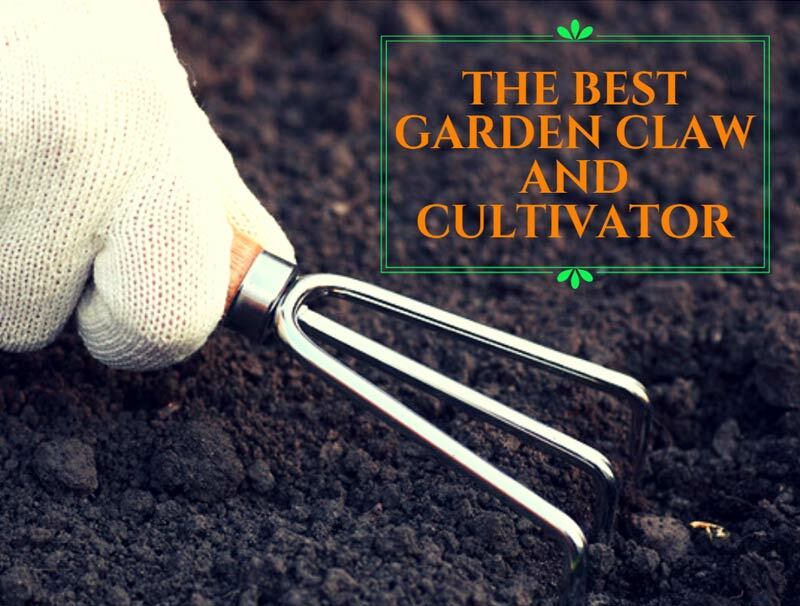 Gardening is a wonderful passion but it requires the use of countless tools and accessories. A problem most gardeners have is where to store these items, especially in the absence of a shed. If this is the case, garden storage boxes could be a convenient solution. Affordable and available in different types and sizes, garden storage boxes are designed to fit the needs of every gardener. Moreover, they can also represent a great solution for organizing your shed, if you do have one. With so many models available on the market, it is easy to get confused. But don’t worry! Keep reading to find out how to choose garden storage boxes or click on the links below to jump directly to our selection. Garden storage boxes come in all shapes and sizes. They are also made of different materials, such as wood, resin, or metal. For this reason, before investing in a storage box you should consider a few variables. First, you should decide which items you want to store in the box. Do you need it to keep your gardening tools? Or maybe the bulkier power tools such as lawnmower? Do you want to keep gardening accessories such as potting soil and pots? Garden storage boxes can be used to keep anything in them, from garden furniture and accessories to tools and equipment. However, if you plan to keep sharp tools, choose a resistant model made of metal or wood. For potting accessories, plastic deck boxes could be a less expensive solution. Another thing to consider is the size of the box. The size should be determined based on the items you want to store and on the available space. If you have very little available space, opt for a garden box that doubles as garden furniture. Lastly, you should consider the place where you want to store the box itself. If you plan to leave it outdoors, make sure the box is waterproof to avoid damaging your gardening items. Heavy-duty resin storage boxes: probably the most popular deck storage boxes are those made of resin or other plastic materials. They are roomy and you will usually be able to store a lot of items in them. Coming in different colors, it will even be easy to match them to your exterior design. Wooden cabinets: are similar to those present in your home. These garden storage boxes are stylish and elegant; moreover, they are usually spacious and provided with shelves or compartments that allow you to divide items into categories. If you plan to position the box outdoors, make sure to pick one that is coated with waterproof varnish. Garden storage bench or ottoman: these garden storage boxes impress with their versatility. Investing in a furniture and storage solution is a good idea especially if your outdoor space is small, as you will be able to invest in a product with double functionality. Vertical deck box: as opposed to rectangular storage boxes that provide a horizontal storage space, the vertical deck boxes develop in height. Many of them have two front doors and are equipped with shelves. These boxes can be made of resin, wood, or metal. To make sure your investment is the best, here is a list of things to check when choosing a garden storage box. Material: you should choose the material based on both convenience and aesthetics. Most resin storage boxes are made to imitate wood closely and can fit well on most contexts. Nevertheless, a wooden storage box could be more appropriate for a rustic décor, while the metal ones are the most resistant and secure. Size: should be determined based on the available space. If your garden is small you could opt for a storage ottoman or bench. Security: being able to securely close the box is essential especially if you use it to keep dangerous tools or chemical substances and have children. Not all storage boxes have fittings that allow you to attach a padlock or other types of fixings. For this reason, it might be useful to check this feature before buying. Maintenance: depending on the material, your garden storage box might need regular maintenance. This is especially valid in the case of wooden boxes that will require you to apply a new layer of coating at least once a year. Resin boxes are the easiest to maintain, and you can simply wipe them with a damp cloth to keep their beauty. Compartments: some boxes, especially the heavy-duty resin boxes, don’t have any compartments. If you want to keep your items organized, look for boxes with shelves or other types of compartments. If you’re now curious which garden storage boxes are the best, have a look at our selection below. If you like the idea of a wooden storage box but prefer resin for its resistance, then a great garden storage solution to consider is this wonderful plastic deck storage container by Keter. The box has a stylish natural wood-paneled finish and a dark brown color that matches with most environments. The box has a large capacity and a dimension of 61x28,5x25,4 inches. Because of its resistance to pressure, the box can be used as garden ottoman as well. Regarding the closure, the box has a flat lid equipped with an automatic easy-opening system. The mechanism and design are conceived to prevent the objects on top of the box to slide when the box is closed. Besides the 150 gallons capacity, the bench also supports a weight of 660 lbs. This means that two average adults can comfortably sit on the box. Weather resistant: the box is not waterproof but it is weather resistant and it will keep your items dry even when exposed to rain. Lockable lid: another great feature is the lockable lid. Most types of padlock match with the fixtures; anyway, the manufacturer doesn’t provide one. Double functionality: this garden storage box can be used as a patio or garden ottoman as well, being extremely convenient for small gardens. Easy to assemble: the manufacturer provides simple instructions that will allow you to assemble the box in a breeze. More often than not it happens for the manufacturer to switch parts of this storage box with those of other products. The customer support is friendly and responsive, yet the issue is annoying. Ideal for a rustic environment or as seating solution in a traditional garden, the Eden Outdoor Bench Storage Box by Eden preserves most of the characteristics of the Westwood box mentioned above. Nevertheless, the difference in style makes this storage bench a more popular solution. Eden is ideal for those who need a smaller storage space or who have a really small garden. This storage bench fits well on a porch or patio and it has a capacity of 70 gallons. Another great characteristic is the fact that the lid is provided with a fixture that allows the attachment of a padlock. This is convenient if you want to store dangerous or sharp items inside the bench. This garden storage box is made of plastic and it is weather resistant. The manufacturer claims it will keep your items dry regardless of the weather; however, you should remember that the item is not waterproof. Color selection: the bench is available in 8 combinations of colors. As such, you will be able to choose a bench in a single solid color or one in two colors. Weather resistant: the plastic is resistant to weather, sun exposure, and other harsh elements, keeping its beauty for a long time. 771 lbs. weight capacity: the bench is designed to hold up to two adults, having a great weight capacity compared to other models. Attractive: the plastic panels are shaped to resemble true wood. Thanks to this characteristic, the bench fits well in most environments. Although the manufacturer claims assembly instructions are included in the package, many buyers complained about the lack of an instruction booklet. If you are looking for a strong and durable garden storage box to place on your patio or even directly in the garden, then the Lifetime Extra Large Deck Box might be the one you are looking for. This storage box has a capacity of 130 gallons or 16,4 cubic feet, it is made of durable plastic, and it can be easily used as a storage bench. The box boasts numerous interesting features. One of these features is the opening of the lid that exceeds 90° and is designed to not slam shut. On the other hand, the box is made of weather and water resistant plastic, while the sturdy seals are designed to keep the interior dry. The high-density polyethylene construction is double sided to increase its strength and durability. The box is designed to accept DIY dividers or shelves, and the product comes with a limited 10-year warranty. Stylish design: the box has a beautiful design enhanced by wavy lines and an inspired combination of colors. The bench is made of tan, brown, and black plastic. Double walls: to increase durability and allow gardeners to use the box as a bench, the manufacturer designed this product with double walls. Lockable lid: your gardening items will be safe thanks to the lockable lid with spring hinge. UV protected: the main issue of most plastic boxes is that the color fades away and they lose characteristic due to sun exposure. This box is UV protected and it resists well to all types of weather. Overall, the box is of an excellent quality. However, assembling it is a whole different story and many users reported it was a hassle. Another splendid garden storage box by Keter to consider is the Rockwood model. This storage box is made of plastic and has many of the Westwood’s characteristics. The box is spacious, boasting a capacity of 150 gallons, and really strong. In fact, the weight capacity of this storage box is 770 lbs. Thanks to this characteristic, the box is also an attractive outdoor sitting solution, accommodating with ease two average adults. The product is suitable to use as patio furniture, poolside storage, or simply as a deck box. Regarding the technical characteristics, the box’s lid is equipped with a hydraulic opening system and it is also lockable. Durable material: the box is made of weather resistant plastic and it is constructed to keep your items both dry and ventilated. Stylish: this garden storage box is designed to be both functional and beautiful. It has a capacity of 150 gallons and the appearance of a wooden bench. Easy access: thanks to the hydraulic opening system, accessing the contents of the box is as easy as pie. Weather resistant: this storage box is made of UV resistant plastic that maintains its properties for a long time. The manufacturer is renowned for shipping wrong instruction booklets or no instructions whatsoever. This is also the case for this box. If you are looking for a small yet stylish garden box, maybe to match with other garden furniture, then Suncast DBW7300 Mocha Wicker resin deck box might be the one you were looking for. The box is part of a series of garden furniture including a garden table with chairs, a beverage cooler, and other functional pieces. This deck box has a capacity of 73 gallons and it is ideal to use it to store small gardening accessories and other essentials. The garden storage box has a mocha brown interior and it features a contemporary design. Nevertheless, the wicker finish pairs well with traditional or rustic gardens as well. Made of durable resin and requiring an easy, tool-free assembly, this storage box is perfect to keep outdoors or on a patio. The resin is weather resistant and the box keeps the contents dry. Contemporary design: this garden storage box features a contemporary design that matches with many other garden furniture pieces. Capacity: the capacity is ideal for a small storage box that is still large enough to accommodate garden cushions and other patio accessories. Easy assembly: you’ll not need any tools to assemble the box and the process is really straightforward. Color: the mocha brown exterior is stylish and it matches well with almost all environments. Moreover, this color is elegant and can add a touch of class to any environment. Considering its size, this storage box is rather expensive. Nevertheless, given its quality and design, the ratio price/quality is excellent. Depending on your needs, there are numerous garden storage boxes to choose from. In our opinion, the best is the Lifetime Extra Large Deck Box. We like this storage box because it is made of strong and durable plastic that is weather resistant and that can be placed either on the patio or in the yard. The storage capacity is also great, and you will be able to use this box to store garden accessories or gardening essentials. Moreover, the manufacturer made this box with double walls to increase its strength. As such, the box doubles as a comfortable garden bench that can accommodate two average adults. Other interesting features are the opening lid and the design of the interior, that accept DIY dividers or shelves. The product comes with a limited 10-year warranty, it has a lockable lid, and the color combination is simply attractive. Although assembling the box is a hassle, the quality of this product is worth it. And for this reason, we consider this product the best garden storage box available on the market.